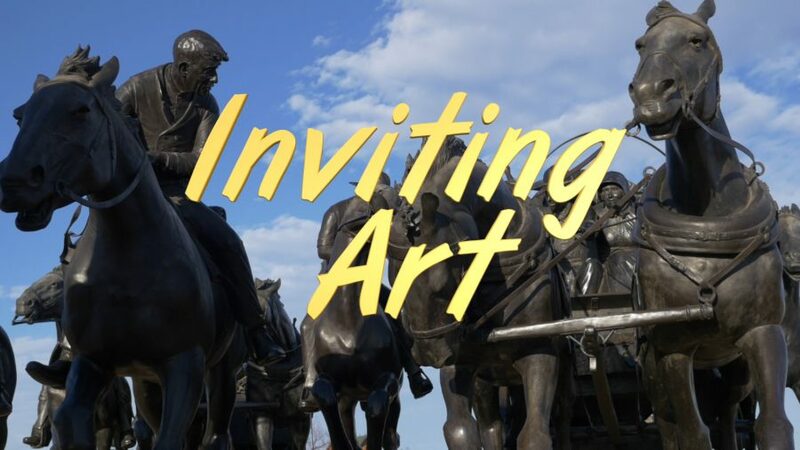 I am excited to announce my documentary film, Inviting Art, will be released to the public for free on Friday, August 25th. I’ve been working on this movie since March, so it’s been six months in the making, which was longer than I originally anticipated. However, the film features over 30 interviews and covers a wide range of topics relating to Oklahoma City’s art scene. To celebrate the film, there will be a free, public premiere screening at Oklahoma Contemporary (3000 General Pershing Blvd. Oklahoma City, OK 73107), which they have been kind enough to sponsor the venue. This screening will take place on Thursday, August 24th at 7 pm. Here’s the Facebook event page for details. There will also be a Midnight Toast on Friday, August 25th at Ludivine (805 N Hudson Ave, Oklahoma City, Oklahoma 73102). This will be my first Midnight Toast, which has been something I am honored to finally do. The Midnight Toasts features influential public features giving a toast in honor of the weekend. If you want to stay up late with me, here’s the Facebook event page for more details. The movie is basically done. I plan to add some footage of an upcoming arts council meeting and that’s about it. Unless someone wants to change something, it’s good.